Developed and published by Teyon Zombie Defense is a fantastic RTS title that most fans of the genre will absolutely love! If you want to know why, continue reading our review to find out! The gameplay in Zombie Defense will remind players of strategy games during the genre's heyday back in the early 2000's! 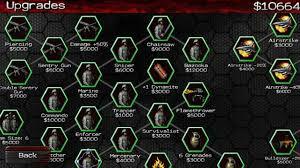 The game features dozens of units with many powers that can be learned and upgraded using points earned in the game. Positioning your troops and choosing which units to use in a mission is key to victory which is something many modern RTS games have forgotten about. Zombie Defense is also quite lengthy if you want to unlock everything, expect to sink a couple dozen hours into this amazing title! The game's 35 missions start off easy, but quickly ramp up in difficulty, also each stage can go on for an infinite amount of waves if you choose to, but if you lose during the extra post level waves you'll lose all of the points that you have accumulated. Zombie Defense makes full use of the Wii U Gamepad's touch controls and Off-TV-Play which is an excellent decision for a strategy title such as this! The touch controls are seamless and smooth and shouldn't give gamers any issues at all! Zombie Defense has excellent lighting effects and background models for an indie RTS title, in most instances you'll feel like you're playing a full-blown retail title which is amazing! The character models also look fairly good as well. The game's sound effects and voice acting are excellent and really set the mood for the game while the sound-track fits the game quite well as well! 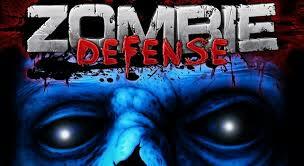 Overall the audio-visual presentation of Zombie Defense is nearly perfect! With amazing gameplay, flawless controls, and a nearly perfect audio-visual presentation, Zombie Defense is hands-down Teyon's best game yet and is it ever a great game! 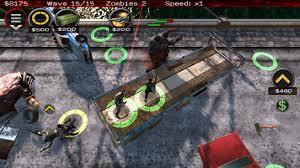 While it's not perfect it's at least very close which is why we give Zombie Defense a nearly perfect recommendation! I might download this game soon. Awesome review! Not interested, but nice review!